Farrow & Ball is a British paint manufacturer, founded in the 1930s in Wimborne Minster, Dorset, on the south coast of England by two chemists named John Farrow and Richard Ball. The company prides itself on its colour palettes, which are largely based upon traditional colors and historic hues ones. Their paint and wallpapers are “beautifully handcrafted” with “an unsurpassed purity and depth of colour,” according to their company website. 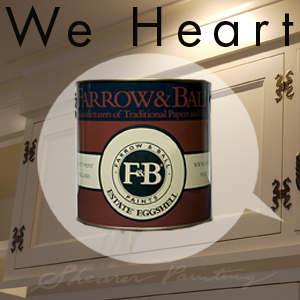 Farrow & Ball began creating paint one batch at a time, because the company makes a full range of modern and traditional high-quality paint finishes – and is one of only a few companies that does so. Farrow & Ball started out small but quickly gained a reputation for high quality paint, which granted the manufacturer paramount contracts for the supply of paint to the British War Office and Admiralty. The company has also worked with the National Trust for Places of Historic Interest or Natural Beauty of the UK in creating near to exact matches for historic building restoration (interiors and exteriors). After the War, almost all other paint manufacturers left behind traditional formulations and switched to cheap acrylic paints with a lot of plastic in them. But Farrow & Ball, as a privately owned business, decided to continue making its paint from its original formulations, using only the best raw materials. Farrow & Ball started out with loyal customers, and as more home and business owners had a rejuvenated interest in restoration and historic colours, the company’s reputation was subsequently talked about. After the turn of the century, clients in other parts of the world began to love and appreciate Farrow & Ball’s unique look. At present, Farrow & Ball is still independent and is producing wallpaper and paint from the same tiny town where they had their beginnings. Of course, as the years went on, the creative company enhanced their range of “elegant decorative and architectural paint finishes” as well as their artisanal wallpapers (which are screen-printed using Farrow & Ball paints, of course). Robin Daly Why Does Color Inspire People? 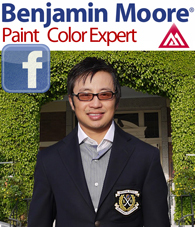 What are good paint colors for a home resale? 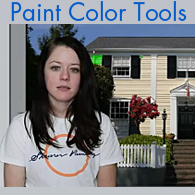 Can you match paint colors from different fan decks?